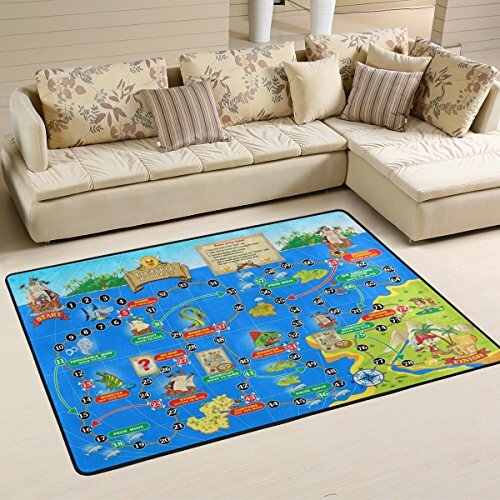 The Funny World Map Treasure Hunters Board Game with Marine Monster Animals for Children area rug makes home complete with style and elegance. They are colorful, feels nice and soft. It's a great choice if you use your floor for reading, laying or sitting. These rugs will naturally resist stains, fading, making them perfect addition to homes with kids and pets. Special Note: For the convenience of transportation, the mat will be folded for delivery. If the item you received is creased, please place it about 3-5 hours, the crease will disappear.